Unjustly deported to Devil's Island following Louis-Napoleon's coup-d' tat in December 1851, Florent Quenu escapes and returns to Paris. He finds the city changed beyond recognition. The old March des Innocents has been knocked down as part of Haussmann's grand program of urban reconstruction, replaced by Les Halles, the spectacular new food markets. Disgusted by a bourgeois society whose devotion to food is inseparable from its devotion to the Government, Florent attempts an insurrection. Les Halles, apocalyptic and destructive, play an active role in Zola's picture of a world in which food and the injustice of society are inextricably linked. This is the first English translation in fifty years of Le Ventre de Paris (The Belly of Paris). The third in Zola's great cycle, Les Rougon-Macquart, it is as enthralling as Germinal, Th r se Raquin, and the other novels in the series. Its focus on the great Paris food hall, Les Halles--combined with Zola's famous impressionist descriptions of food--make this a particularly memorable novel. 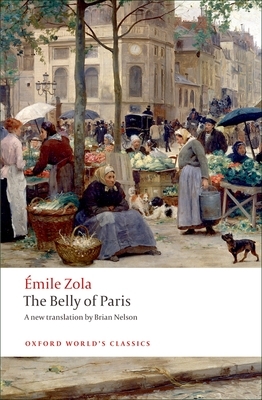 Brian Nelson's lively translation captures the spirit of Zola's world and his Introduction illuminates the use of food in the novel to represent social class, social attitudes, political conflicts, and other aspect of the culture of the time. The bibliography and notes ensure that this is the most critically up-to-date edition of the novel in print.